God is Faithful, Reliable, Trustworthy, Dependable, Awesome, More Than Amazing, Incredible . . .
Worthy of being called A Friend!! He who is too busy to pray will be too busy to live a holy life. If you choose not to set priorities in your life, then other things and other people will set your priorities for you. Make a decision today to incorporate prayer everyday, and set your own priorities. You do not want to miss this next move of God!! 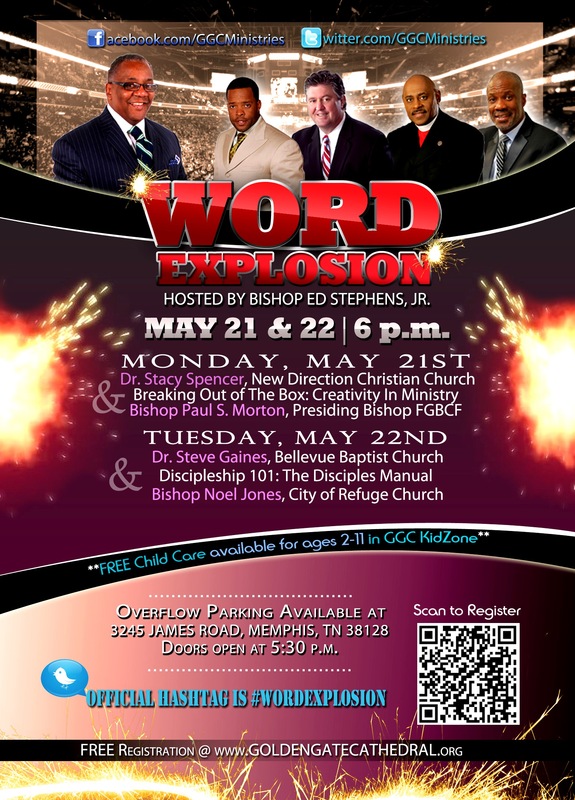 Bishop Ed Stephens Jr. is hosting Word Explosion 2012 at Golden Gate Cathedral on May 21st & 22nd at 6 p.m. This conference is an extraordinary opportunity for leaders as well as delegates from across the mid-south to receive encouragement and insight regarding how to break the bearers that have been preventing your progress. “For every designated place there is a designated provision,” states Bishop Ed Stephens, Jr., Senior Pastor of Golden Gate Cathedral. What is Word Explosion? The Word Explosion is a powerful gathering for people of all walks of life to hear powerful preaching and practical teaching about how to cultivate creativity & strengthen your faith. Why should you attend the Word Explosion? You will hear dynamic messages from internationally acclaimed speakers who will challenge you to reach beyond your present circumstances and inspire you to see new possibilities that are available through Christ. What happens during the Word Explosion? You will experience high-energy music and worship. You will enjoy power-packed preaching that will help you to see your obstacles as opportunities for God to demonstrate His greatness. Golden Gate Cathedral is out with the old and in the new. Since the beginning of this new year, we have been in a posture to fast forward to the new position the Lord Almighty is calling us to within this season. We are no longer looking backwards in the rear view mirror of what hasn’t worked or what hasn’t happened. The only way we can receive what God has for us is looking ahead towards the plan He has for us. The reason the car windshield is larger than the rear window is because there is more to see and more to receive when we look ahead. Get ready for an incredible year in 2012 and watch God move in way that may seem unbelievable. Go ahead and let the past go! Have faith and move forward into this next move of God. It’s the beginning of a new year, and God is definitely up to something incredible. The pages of your new book are blank and the slate is swept clean. This would make it a perfect time to take advantage of new opportunities and create a pathway to do some impossible things with a Creator who can make all things possible. Regardless of the adversities of 2011, it did not take you out. Make a decision today to leave all past hurts and disappointments in the past along with 2011. Hold your head up high, stick your chest out and be fearless and determined in knowing that you are more than a conqueror through Jesus Christ. Don’t be afraid to take the first step. 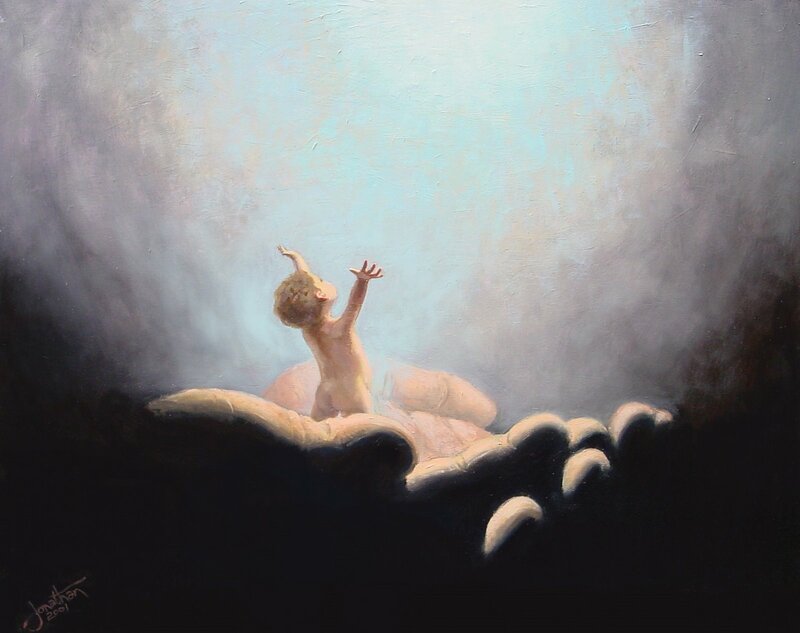 Many times, it’s the first step that causes your feet to keep moving, and before you know it, you’ve allowed God to begin a new and great work within you to do some awesome things in Him. Whatever your goals are for 2012, don’t hesitate to push and allow it to come to past.